1. A diastema is a space between front teeth. Diastemas are closed by orthodontics or restoration. A highly successful technique is addition of composite. A space which is too large and closed with composite results in teeth that are esthetically too wide and orthodontics is recommended. 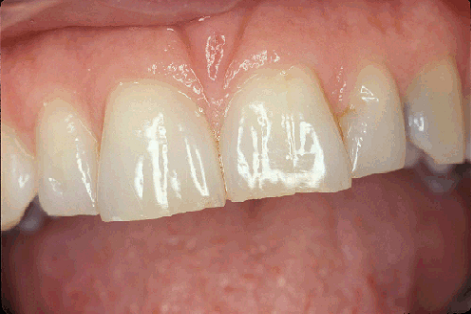 Space closure requires placement of composite two adjacent teeth. Placement of composite onto one tooth can be done if proper tooth dimensions allow it. 2.Tooth structure is etched and resin placed. Composite is added and shaped with composite instruments. When final shape is achieved, composite is light cured .Blending composite color to tooth color is further achieved by proper composite selection, placement and preparation design. Final shaping and polishing is achieved with burs, sandpaper disks, rubber wheels, points, cups, and polishing pastes. Adjustments are made to the restored tooth with burs or sandpaper disks by our experienced Pune cosmetic dentists to give you beautiful smile. A cavity that occurs between front teeth is referred to as a class 3 in cosmetic dentistry. Food collects between teeth. Sugars within food are converted to acids that decalcify enamel. Continued destruction forms a hole and therefore, the term cavity. 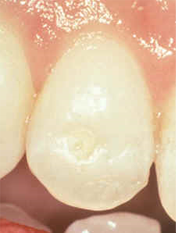 Initially, these cavities are not visible, however, as acids continue the destructive process, a cavity becomes large enough to be visible. 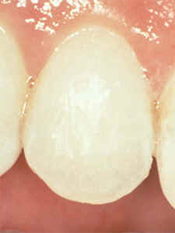 Old composite veneers are misshaped, discolored and worn. Composite veneers are selected by the patient over porcelain veneers to allow flexibility of change to please a demanding patient. Esthetic recontouring reshapes teeth without addition of restorative materials. Teeth must be the appropriate size when recontouring is done and removal of tooth structure must be confined to enamel. 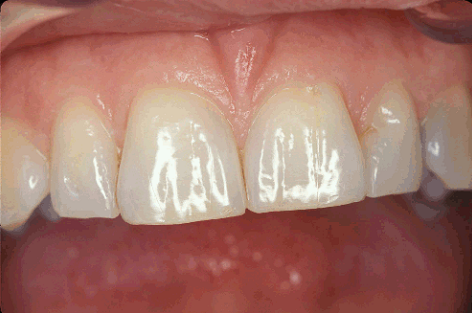 Composite is bonded to porcelain to repair fractures of crowns, onlays, bridges or veneers.